This Stainless Steel and Black Leather Bracelet is is a unique design that is both stylish and comfortable. 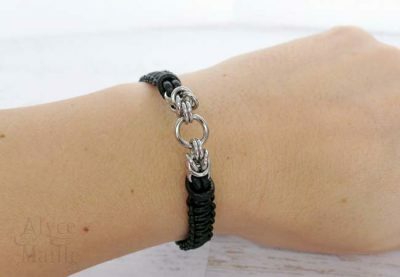 It is made by hand weaving high quality stainless steel rings and gorgeous soft black leather cord. 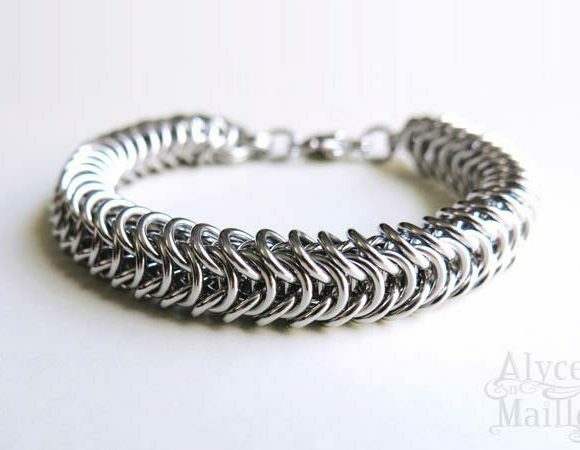 This stainless steel and black leather bracelet is an Alyce n Maille Original Design. 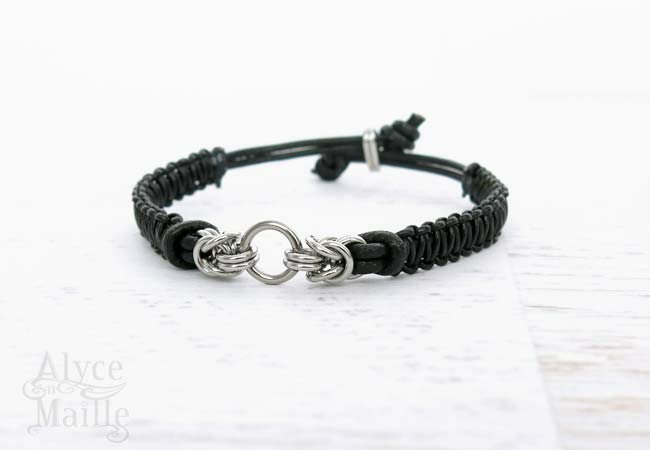 It is intricately handwoven using durable high quality stainless steel rings and gorgeous soft black leather. 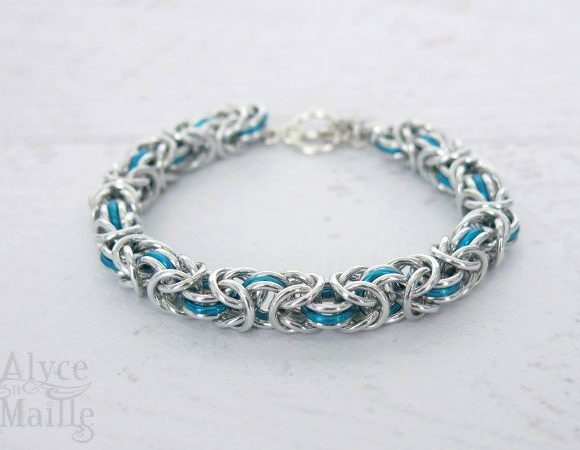 This bracelet is very comfortable and easy to wear. 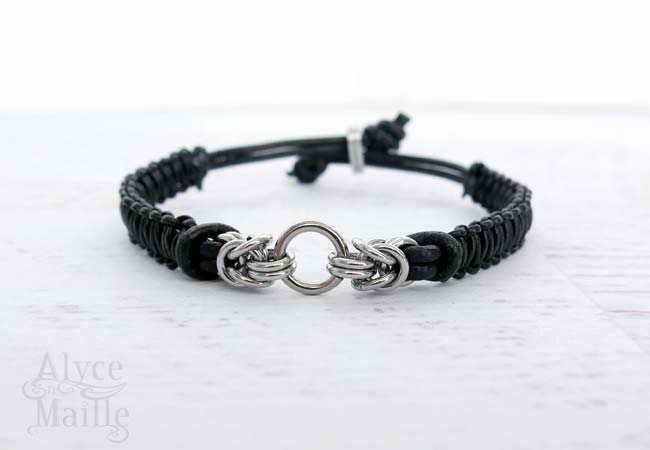 To create this unique look, each individual steel ring is handwoven and wrapped with black leather cord. By using special knotting techniques it makes this leather bracelet slide adjustable. 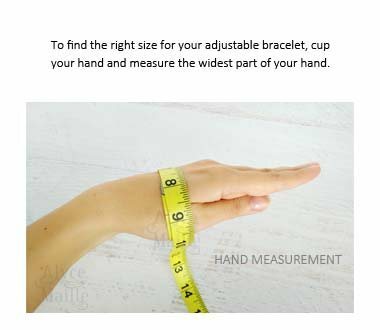 SIZE: one size fits most – fits wrist sizes 5 1/2 inches to approximately 7 3/4 inches and fits over approximate hand size of 8 inches. 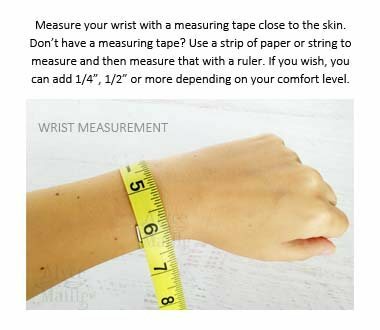 (See photo below) If you need a larger size please contact me. 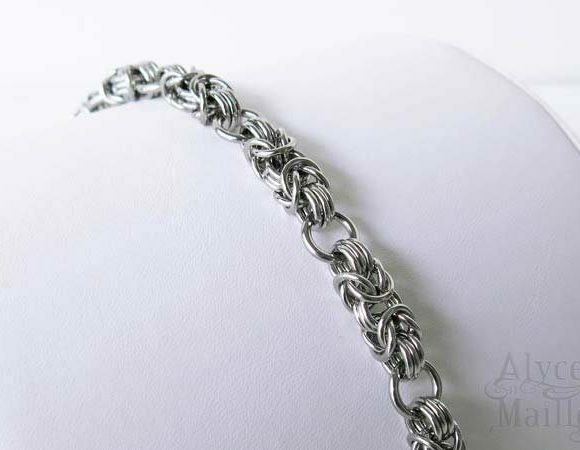 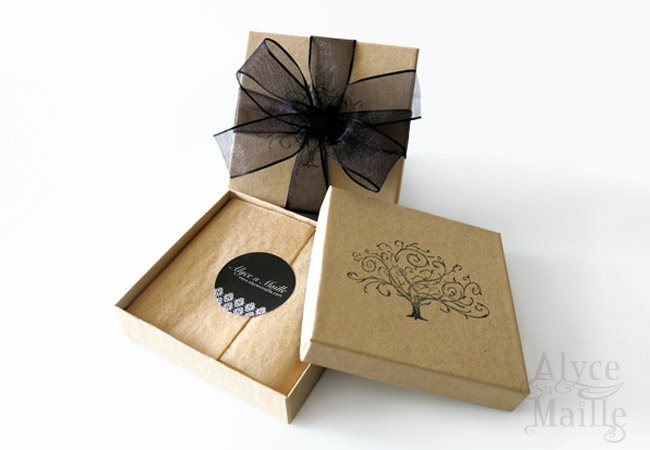 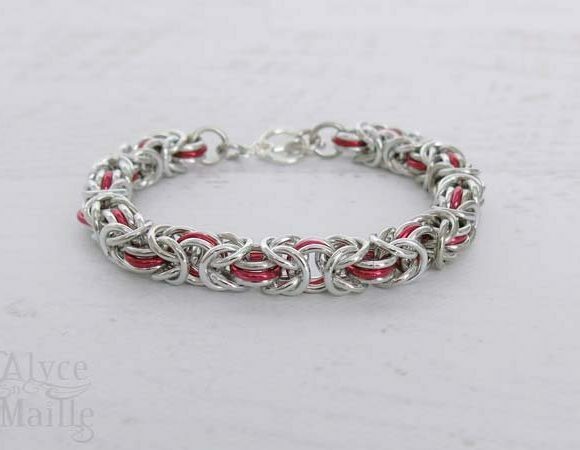 Click HERE to see more Alyce n Maille bracelets.